Brice Aikens is a Board Certified Criminal Trial Lawyer dedicated to representing those facing criminal accusations in the Greater Orlando area and surrounding Central Florida communities. Prior to joining The Umansky Law Firm, Brice was the former Division Chief for the Orange County Public Defender's Office in the Ninth Judicial Circuit where he litigated cases ranging from homicide and trafficking to possession and petit theft. Brice received his undergraduate degree from the University of Central Florida and his Juris Doctor from Florida State University College of Law. In 2012, Brice became a Board Certified Criminal Trial Attorney, meaning his knowledge, skills, and proficiency in criminal law meets the highest standards set by The Florida Bar. With this Certification, he joins only a small percentage of attorneys who can call themselves legal experts or specialists. Brice is active member of the National Association of Criminal Defense Lawyers and Central Florida Association of Criminal Defense Lawyers. 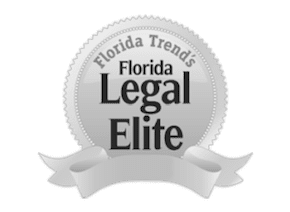 He has also been recognized as one of Florida's Legal Elite by Florida Trend Magazine. Outside of practicing law, Brice has published several scholarly articles and is actively involved in the community. In 2013, he created The Minnie Aikens Foundation with the mission to help eliminate the financial barrier that prevents aspiring students from going to college.